Unauthorised production in whole or in part of the information on this website including without limitation, photographs, is an infringement of copyright. Except as permitted under the Copyright Act 1968 (Cth), no part of this website may be reproduced by any process, electronic or otherwise, without the specific written permission of the Copyright Owner. Neither may all or part of the information contained within this website, including without limitation, photographs, be stored electronically in any form whatsoever without written permission of the copyright owner. This site is provided as a general information source only. Padua College makes no statements, representations or warranties about the timeliness, accuracy, completeness or reliability of any part of this site and you should not rely on any information contained in this site. Padua College disclaims all responsibility and all liability (including, without limitation, liability in negligence) for all expenses, losses, damages and costs you might incur as a result of the information being inaccurate or incomplete in any way or otherwise misleading. Padua College is not responsible or liable for the availability or content of any other Internet site linked to or from this site. Access to any other Internet site is at your own risk. If you create a link to this site you do so at your own risk. We reserve the right to object to any linking that infringes its rights. Padua College has not agreed to any conduct connected with a linked site which may be unlawful or an infringement of rights. 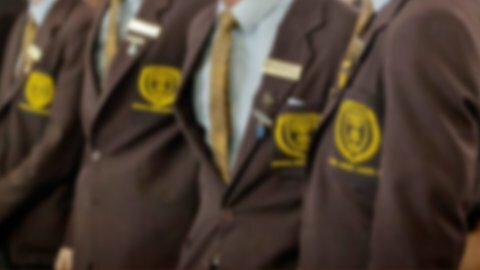 Padua College accepts no responsibility for the content on external sites. External links are presented without warranty, express or implied.